Huge slabs of Arctic permafrost in northwest Canada are slumping and disintegrating, sending large amounts of carbon-rich mud and silt into streams and rivers. A new study that analyzed nearly a half-million square miles in northwest Canada found that this permafrost decay is affecting 52,000 square miles of that vast stretch of earth—an expanse the size of Alabama. According to researchers with the Northwest Territories Geological Survey, the permafrost collapse is intensifying and causing landslides into rivers and lakes that can choke off life downstream, all the way to where the rivers discharge into the Arctic Ocean. Similar large-scale landscape changes are evident across the Arctic including in Alaska, Siberia and Scandinavia, the researchers wrote in a paper published in the journal Geology in early February. 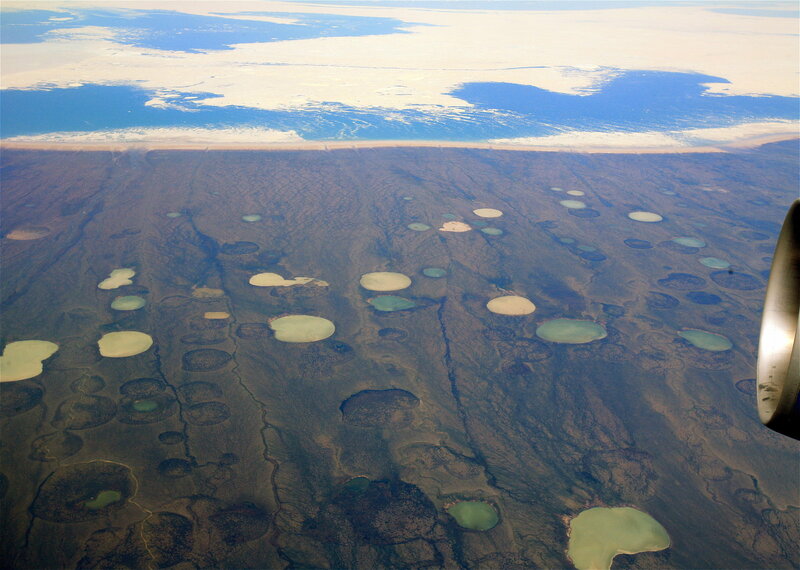 The study didn’t address the issue of greenhouse gas releases from thawing permafrost. But its findings could help quantify the immense global scale of the thawing, which will contribute to more accurate estimates of carbon emissions. The big thaw…. we are watching unprecedented events.